Uniquely curved lashbands provide comfort and easy application. Eylure Individual Lashes Combo - Value Pack offers three times more than a standard pack for the true fans of the individual lashes! This Value Pack includes 3 trays. Each tray has 17 flares of all 3 sizes - Short to Medium to Long giving you the option to create a subtle, dramatic or glamourous look. Each package contains 3 pairs of 035 lashes. 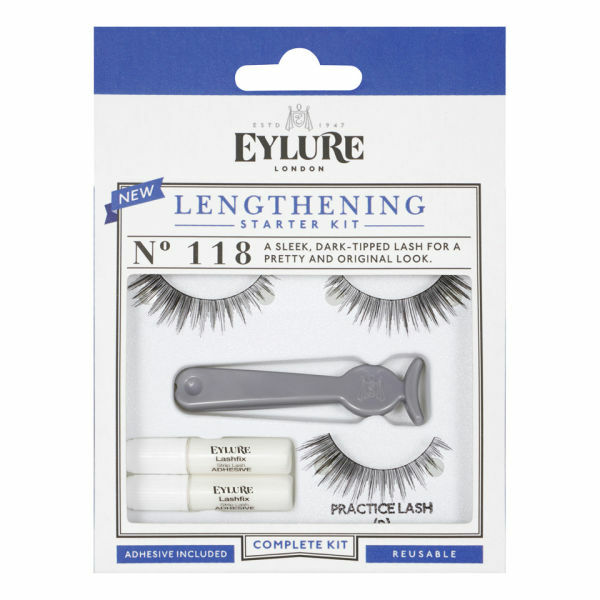 Eylure Naturalites LENGTHENING TWINPACK N° 035 contains 2-pack of strip lashes to enhance the natural beauty of your eyes. Eylure #035 is an everyday, subtle and sheer balanced lash that bring out the natural beauty of your eyes. This is a lash that is gorgeously defined and will enhance the natural beauty of your eyes. Eylure Natural 031 Multipack Lashes contains 3-pack of Eyl #031 strip lashes (Triple Pack) to enhance the natural beauty of your eyes. 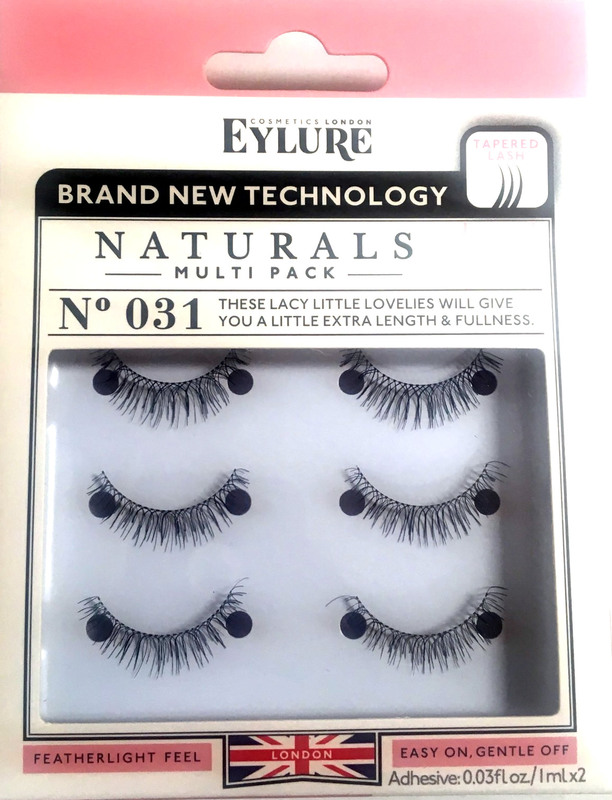 Eylure Naturalites NATURALS N° 031 Strip Lashes (also known as Emily Lashes) is a loosely woven, compact lash with a soft, even finish. Eylure 031 enhances the natural beauty of your eyes. Suitable for all eyeshapes, they are ideal for regular wear or a special occasion. Each package contains 3 pairs of 031 lashes. The spikiest lash in the range with super spikey teased tips for a look filled with attitude! Eylure Naturalites DEFINITION Lashes N° 120 enhance the natural beauty of your eyes. Suitable for all eyeshapes, they are ideal for regular wear or a special occasion. A cobweb-delicate lash with extra definition on the outer edge, a unique and beautiful look.Eylure Naturalites DEFINITION StripLashes N° 121 enhance the natural beauty of your eyes. Suitable for all eyeshapes, they are ideal for regular wear or a special occasion. 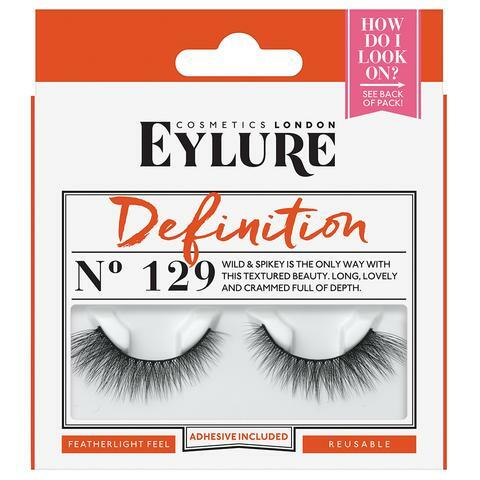 Feathery and slightly spiked, Eylure Naturalites DEFINITION StripLashes N° 128 provide plenty of lash attitude. Featherlight lashes with Eylure's uniquely curved lashband provide comfort and easy application. Suitable for all eyeshapes, they are ideal for regular wear or a special occasion.